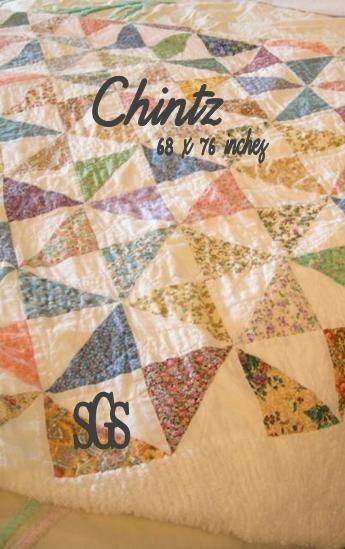 Chintz pattern is 68 x 76 inches. Pattern uses a mixture of small florals, paisleys, and calicos and is finished off with a chenille border for a shabby cottage feel. Pattern is charm pack friendly. Quickly received. Pattern looks very well thought out and easy to follow. This will be my first quilt and I'm going to enjoy making this! Thanks very much!